In the Northernmost point of the Eurasian continent, in a peninsula called the Taymirsky Dolgano-Nenetsky Autonomous District of Siberia, lives a dwindling population of ice nomads, composed of the Dolgans and the Nenets. 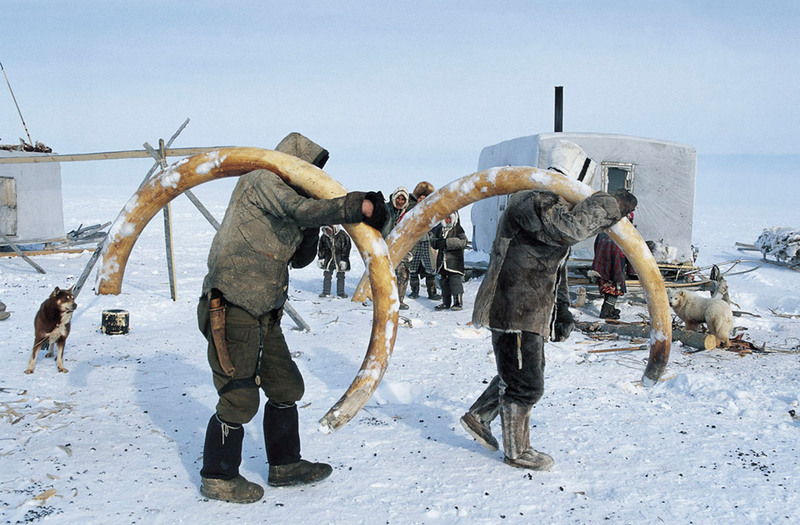 Photographer Francis Latreille an expert of polar expeditions since 1996, discovered the Dolgans for the first time in 1997, and started a twelve-year friendship with the Jarkov family. Under the tundra’s extreme climate conditions with temperature from minus 30 to minus 60 in harshest winters, the Dolgans live off hunting, fishing, fur trapping, reindeer breeding and some still practice shamanism.